Sunbursts on the Bardavon Theater's marquee erupt with the warm shades of sunset while white light races around the listing of featured performers. Up on the 35-foot high blade sign the white lights within the open channel letters etch the name "Bardavon" on the evening sky. This festival of light is created by 3600 direct-incandescent replacement LED light bulbs that replaced incandescent light bulbs in the marquee and blade sign. The installation of the LED bulbs resulted in improvements in aesthetics, maintenance and energy efficiency. "Incandescents were replaced for a number of reasons not limited to power savings, replacement cost savings, and a new look and feel of the marquee in general," explains Jason Adams, who orchestrated the project for the Bardavon. 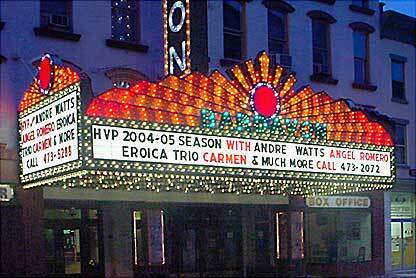 The Bardavon Theater, located in Poughkeepsie, N.Y., has hosted entertainment for Hudson River Valley residents for more than 130 years. Artists who have treaded the boards include author Mark Twain, crooner Frank Sinatra and dancer Martha Graham. A victim of suburban cineplexes, the Bardavon closed in 1975 and was slated for demolition when local residents rescued the elegant venue. 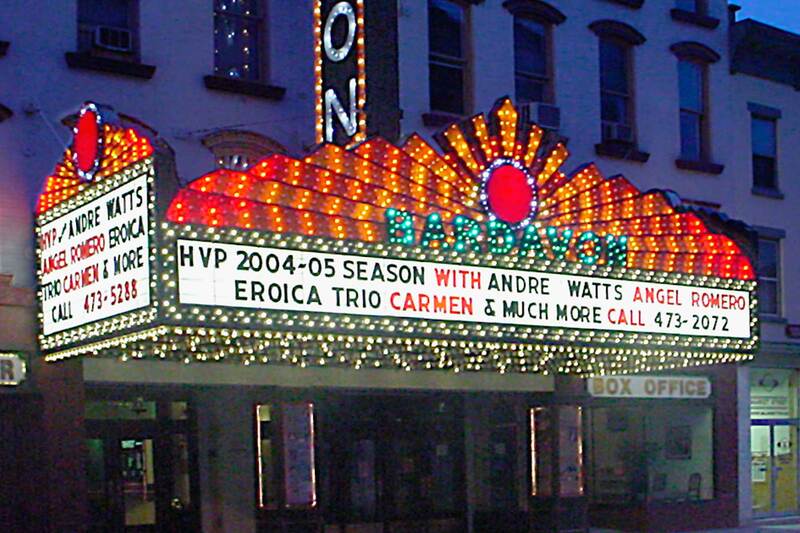 As part of the renovation project, the Bardavon's original three-sided 1940s era marquee and the vertical blade sign were replaced with replicas that still used incandescent light bulbs as light sources. Later, the 3600 incandescent lamps were replaced with energy-efficient LED bulbs from LEDtronics Inc., a manufacturer of LED lamps. A grant from the New York State Energy Research & Development made it possible for the nonprofit Bardavon to switch to LED-sourced lighting. Installation of the LED lamps was a win for both the theater and the agency. The agency fulfilled its mandate of promoting energy efficiency through innovation and technology. And, the Bardavon lowered its operating costs because LED lamps reduced by ninety percent the amount of energy consumed by the marquee and the blade sign. 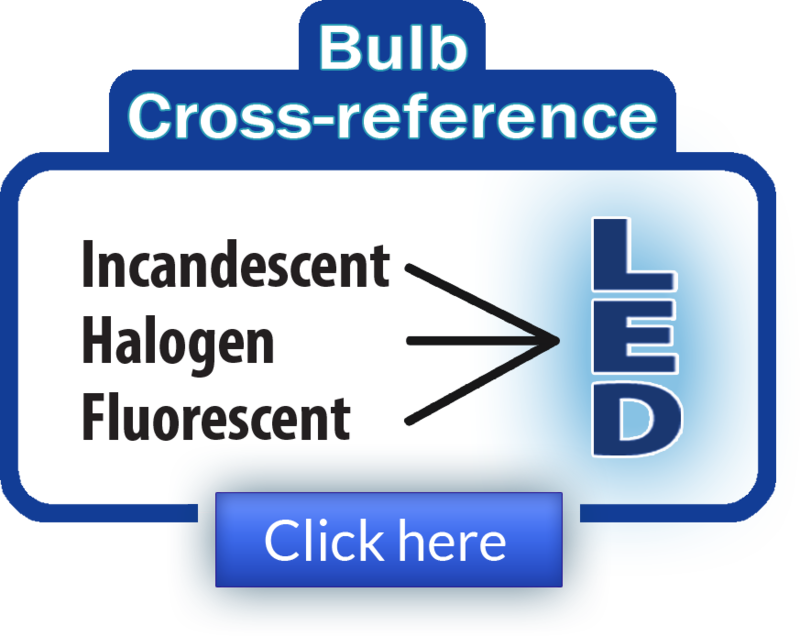 Knowledgeable about LEDs' reputed long life and major power savings, Adams contacted LEDtronics. 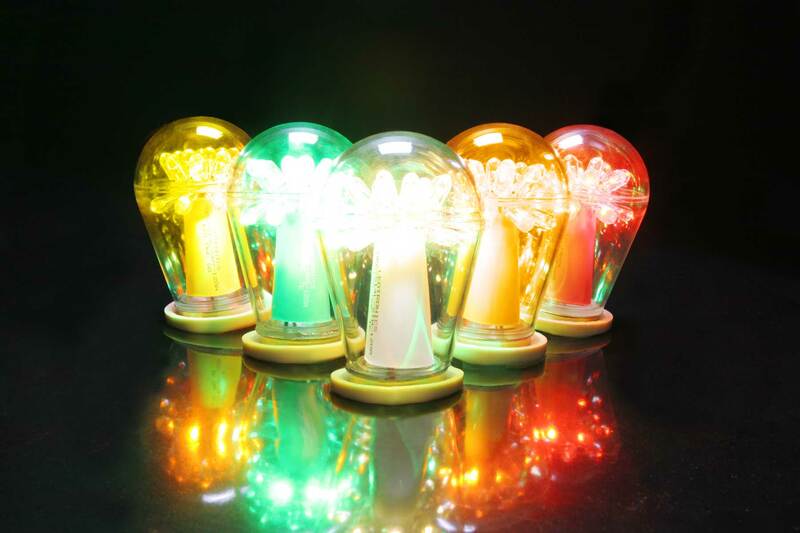 Following discussions with the LEDtronics' regional representative Jeff Mizel and after testing several sample lamps, Adams purchased 3600 LEDtronics S14-styled, Edison-screw based lamps (part number DEC-S14L-120A) in the colors of white, yellow, orange, red and blue-green. The S14-styled LED lamps feature 25mm Edison-screw bases that enabled them to be installed into existing sockets without requiring pricey modifications. The marquee and the blade sign typically operate for 6 - 8 hours per show about 150 times a year, which averages about 3 hours a night over the course of a year. Due to the use of chaser circuits all the lamps are never lit simultaneously. If they were, the signs would have consumed 43,362Kwh per year with 11W S14 incandescent lamps. Running all the lamps for one hour (38Kwh), multiplied by the average of 3 hours is 118Kwh multiplied by an average cost of $0.08Kwh results in a total of around $9.44 per day or $3445.00 per year. LED lamps drastically dropped the amount of energy consumed from 38,000W to 4680W. 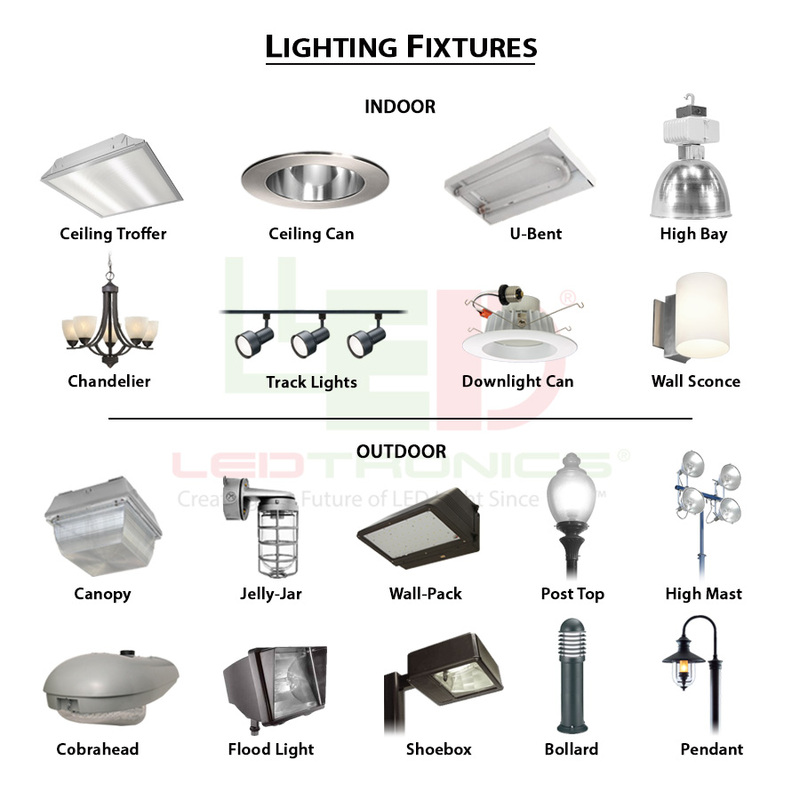 The LED lamps draw 1.3W each at $0.08 kWh. 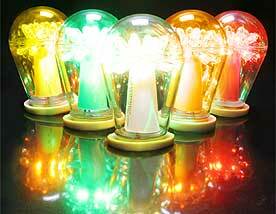 The annual electricity cost for the LED lamps is about $124.40. That adds up to an annual savings of $3203 a year, nearly $9609 over the three-year warranty period, and $35,233 over the typical 100,000-hour LED operating life. The annual energy saved is 38,237Kwhs. For the theater's staff replacing bulbs on the marquee was relatively easy, requiring just a ladder; however, relamping the blade sign was more difficult. With the top of the vertical structure 50-feet above street level, a boom lift was needed. If the marquee and blade sign operate for an estimated 1,095 hours a year and incandescent bulbs lasts for an average of 1000 hours, the incandescent bulbs would, mathematically, have to be replaced about once a year. Assuming labor for changing the bulbs is $13 an hour and there are 3600 lights that have to be replaced, the labor costs alone amount to close to $51,246.00 for one year if all the bulbs had to be replaced at least once during the year. Now, add on the costs of parts, boom lift rental and operator pay. That's a bottom line that can bring down the curtain. When it comes to choosing lights for outside applications like the theater's signs, it's hard to best LED lamps. Sealed assemblies make LED lamps able to take the punishment of seasonal weather. Impervious exteriors safeguard the electronics from water while the hardy polycarbonate globes protect the LEDs from incidental impact and the deteriorating effect of the sun's UV rays. Solid-state circuits withstand the electrical stress from the use of chaser circuits. Each time an incandescent lamp is turned on the filament within the glass globe weakens and eventually breaks. LEDs don't have filaments to break. Their solid-state electronics enables LED bulbs to be turned on and off any number of times without worry of burnout. What's more, LED cluster lamps continue to provide light even if one or more individual emitters fail. With a yearly savings of $57,271 in power and maintenance, the LEDs paid for themselves in no time at all. Reducing energy and maintenance expenses freed up resources for the theater's other restoration projects. LED lamps helped the theater achieve its goals of reducing energy consumption, avoiding future maintenance expenditures and updating the theater's facade.